There is nothing quite like the glow of holiday lights to get your home ready for the season. Whether you prefer white lights or bright colors, they’re a must-have when it comes to this time of year. 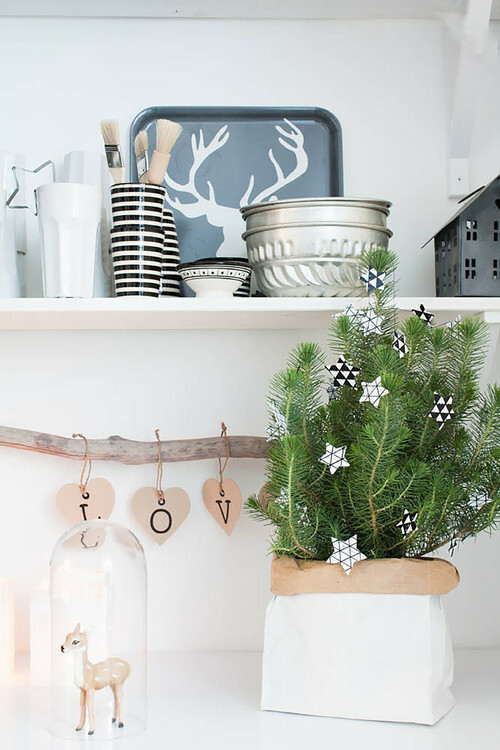 However, many people limit their use of these to their tree or outdoor area but this means missing out on many alluring decor ideas that jive with the holiday spirit and beyond. Learn more below about how to creatively decorate with holiday lights in ways you might not have thought of. Since holiday lights are so easily flexible, you can easily shape them into actual words. Spelling out holiday sentiments such as “joy”, “jolly”, “peace” or any other festive word makes for a nice display. This can be done easily with colored and white lights alike, and especially with white lights, this decor idea can be used even outside of the holiday season with a word of your choosing. Don’t have the space for a full on Christmas tree? You can still use festive lights to give your home that warm glow! Instead of stringing lights around a tree, string a smaller strand around house plants to really get in the spirit. Most people receive an abundance of holiday cards this time of year, so use lights to add to their display! Use a cork board to hang cards and drape lights over them, drawing attention to the display and making it beautiful. Hosting for the holidays? Using lights to create a festive backdrop for photos is simple and fun. Use a plain colored sheet against a wall then string lights along it to make this DIY photo booth really pop. You can even make some of your own holiday-themed props for guests to use in their photos to be even more festive and fun. The holidays are the perfect time to remember past holiday memories. Use lights, string, and mini clothespins to create a garland that highlights those treasured memories by hanging past holiday photos and displaying them to enjoy all season long. Your stairway banister is the perfect place to wrap holiday lights to add some extra glow to your home during this time of year. It’s easy to do and will make a big difference in your decor. Take holiday lights and use it to emphasize a holiday decor accent that might otherwise be drab. For instance, take an antique sled and use vintage-style, big-bulb holiday lights to really make it pop, either inside or outside your home. Many of us love using lanterns in our outdoor space to provide additional light or a more pleasing aesthetic. During the holiday time, trade in the lights or candles that usually sit in these glass orbs and fill them with holiday lights for a fun and festive appearance. If the vibe of your home is more rustic, you can easily incorporate holiday lights into that theme. Start by grabbing a large basket or hurricane vase. Next, gather enough pine cones to just about fill the vase. Then, take holiday lights - white lights look best for this idea - and weave them randomly into the pine cones. This looks great on the hearth of a fireplace or surrounding a beautiful Christmas tree as an added accent. Best of all, this is festive for the holiday, yet is neutral enough to stay out all winter long. If your home decor isn’t so rustic, consider applying the same idea but instead filling a vase with dollar store bulb ornaments with lights weaved in for a cheap yet pretty decoration. These ideas are easy to execute and all contribute to a picture perfect home during the happiest time of the year! Check out these winter lawn care tips to keep your lawn healthy in the cold. Caring for your lawn during the winter can look different from other homeowners depending on your location. Unless you live in the extreme Southern areas of the country, most grass types will go dormant during the cold winter months. However, just because winter isn’t the primary growing season doesn’t mean that there isn’t plenty to still do. Check out these winter lawn care tips to keep your lawn healthy. Choosing to add fertilizer to your lawn before the snow falls is a great way to give your grass a boost of energy to stay alive during the winter months. Use a slow-release fertilizer when you want to give your lawn root systems a slow and steady stream of energy over a more extended period. Make sure to follow directions and refrain from applying too much fertilizer in one area of the lawn which could cause burning due to too much nitrogen. Aerating your lawn once every couple of years is a great way to make sure that your lawn is receiving essential nutrients at a deeper level. Aerating will allow sunshine, water, and energy to penetrate deep into the soil which will make the lawn healthier and stronger come spring. Renting an aerator is an excellent choice for many homeowners or consider your local winter lawn care professional that can do the job for you. Aerate your lawn before any winter weather, like snow or ice, fall on the grass this winter. For those homeowners in the South looking for a way to keep their warm-season grass lawns green all year, consider overseeding with the opposing season grass type as part of your winter lawn care, once the lawn goes dormant. The cool-season grass will love the colder temperatures that winter brings while the warm-season grasses take a much-deserved nap. Unfortunately, homeowners in the northern parts of the country will have to accept dormant lawns in frigid temperatures or snow-covered lawns in other winter areas. Many parts of the country will see the addition of fallen leaves onto lawns in the early parts of winter. Instead of raking up the leaves and bagging them up for removal, consider using this free source of energy to create a stronger lawn. Mulch the leaves with a leaf mulcher, or by merely using your lawn mower, to cut the leaves into smaller more manageable parts. Dead leaves provide a natural source of nitrogen to the lawn making it a welcome addition for future growth. Compost is one of those items that every homeowner needs to keep a healthy lawn. Compost can be created at home in a compost pile or is available for purchase from a local garden center. Compost is helpful to add to a lawn before winter arrives to provide a natural energy source for underlying roots. The compost will be gradually worked into the soil by microorganisms making it a great option to cure many lawn issues. There are plenty of ways to care for your lawn even if winter temperatures have already arrived in your area. Race against Mother Nature before the arrival of snow and ice to provide your yard with essential added nutrients like compost, fertilizer, and fallen leaves. Aerating and overseeding your lawn are other ways to make sure that your lawn looks great year round. Consider all of these winter lawn care tips this year for a beautiful lawn. Gather round the dreidel and save room for some latkes cause Hanukkah is here! Once the Maccabees claimed victory, they rushed to the Great Temple in Jerusalem to light its Menorah which was never to go out. Although they found only a small amount of oil, a miracle occurred when it lasted for eight days. Jews only celebrate the miracle of the oil; not war. I know nowadays this miracle may seem modest, but if you’ve ever been in the middle of the desert without light or electricity, you celebrate when you get a spark. 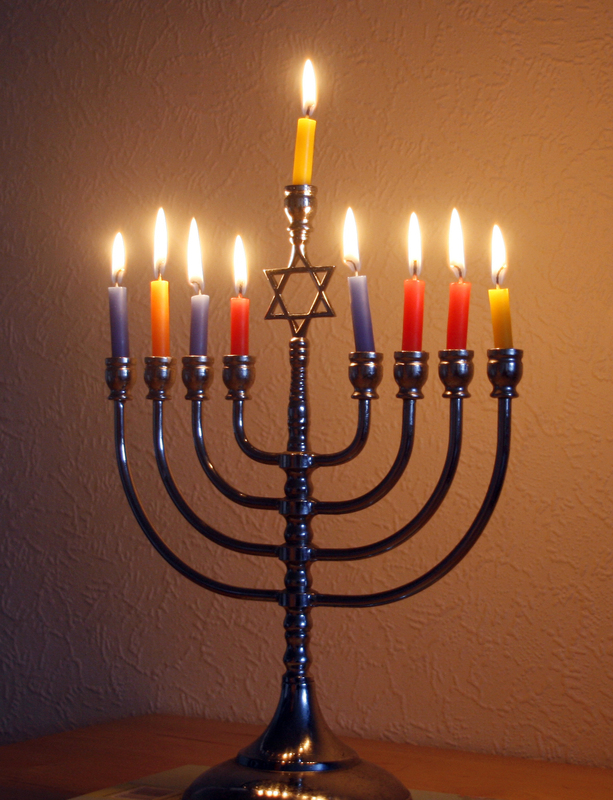 The first and most recognizable Hanukkah tradition is the candle lighting (or candle lightbulb twisting for some). Families gather in their homes to light the Menorah (or Channukkiah) which consists of eight candles of equal height plus a ninth “servant” candle sitting above the rest. The servant candle, or Shamus, is used to light one candle per day from right to left to commemorate the miracle of the oil. The Menorah is then placed in a visible area to remember what happened in Jerusalem two thousand years earlier. -If you spin a נ (nun), you get nothing, you lose, good day, sir! -If you spin a ג (gimel), you win it all! -If you spin a ה (hay), you net half of the pot. -If you spin a ש (shin), you put one in. 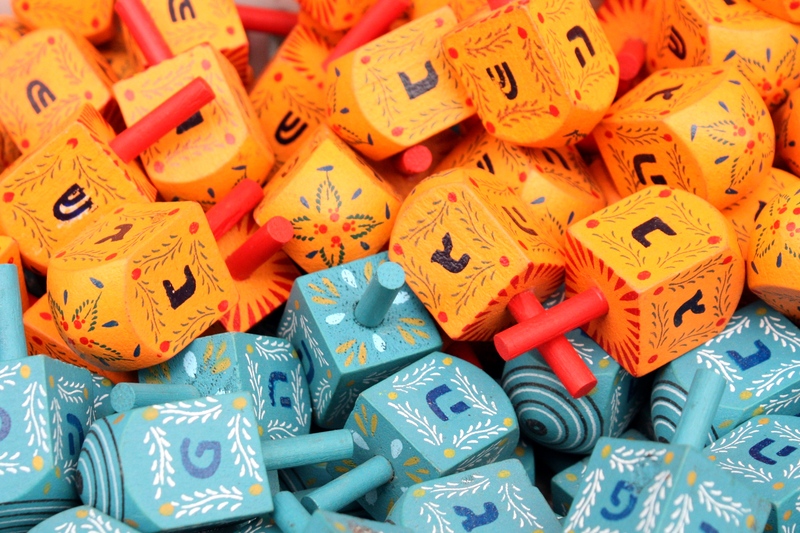 I still remember the hot streak I went on in my dreidel spinning prime during the Hanukkah of ’95. By the end of the game, I walked out of my grandparents’ house with a garbage bag full of chocolate and the deed to my cousin’s jungle gym. Another Hanukkah tradition is gift giving. This tradition is actually a Jewish-American invention. Where Jews in the “old country” once only exchanged “gelt” or small amounts of chocolate or candies, American Jews have begun the tradition of gift giving now due to its proximity to Christmas. The unknown first Jewish child that guilt tripped their parents into getting them presents like their Christian friends is one of my greatest heroes. Now, on to my favorite category on any list of any topic: food. As Walter Sobchak eloquently tells “The Dude” in The Big Lebowski, the Jewish people have had, “three thousand years of beautiful tradition from Moses to Sandy Koufax.” And I am certain we used that entire time to perfect one thing: the potato pancake. 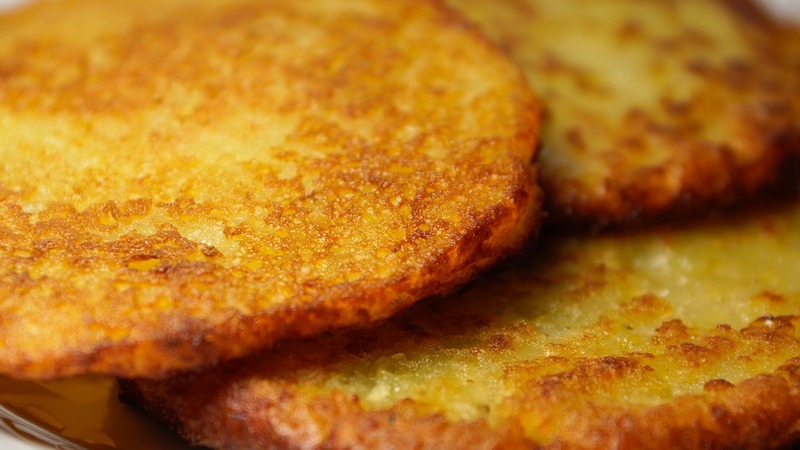 Potato pancakes – or latkes – are pretty much mashed potatoes fried in a pan with vegetable oil. Perfectly crunch on the outside and creamy on the inside, one source described these treats as “slammin’”. Whether you eat it with apple sauce, sour cream or plain, it is amazing. Oily foods are the tradition on Hanukkah; another homage to the miracle oil of the Great Temple in Jerusalem. Not to be outdone, for dessert on Hanukkah, sufganiyot (plural) are eaten. 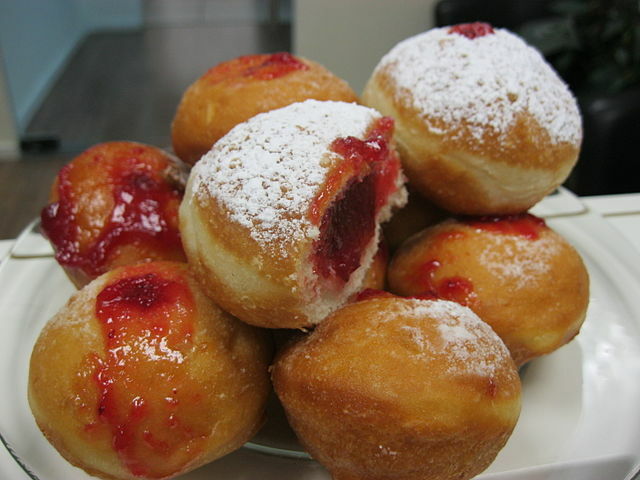 A sufganiyah (singular) is the widely loved jelly filled round doughnut. Who knew that Dunkin Donuts already specialized in traditional Hannukah desserts?! Though not the most religious holiday, one thing has remained constant: giving thanks for the opportunity to be with family loved ones. The traditions of Hanukkah have morphed and changed throughout the years, and in the United States, Hanukkah has become a part of the holiday season in December. I hope you grab some latkes, sing “Dreidel, Dreidel” in your best Barbara Streisand impersonation and have a happy, happy, happy, happy Hannukahhhhhhhhh (Adam Sandler voice)! And just in case any of your questions have not yet been answered, JB Smoove of Curb Your Enthusiasm fame has you covered. Header image courtesy of Flicker user Robert Couse-Baker. Selling your home through the holiday season can certainly come with a few challenges. Chilly, wet weather and falling leaves in November and December might mean more raking and shoveling to keep your home pristine. However, the damp weather and dark skies don’t have to squelch your holiday spirit. 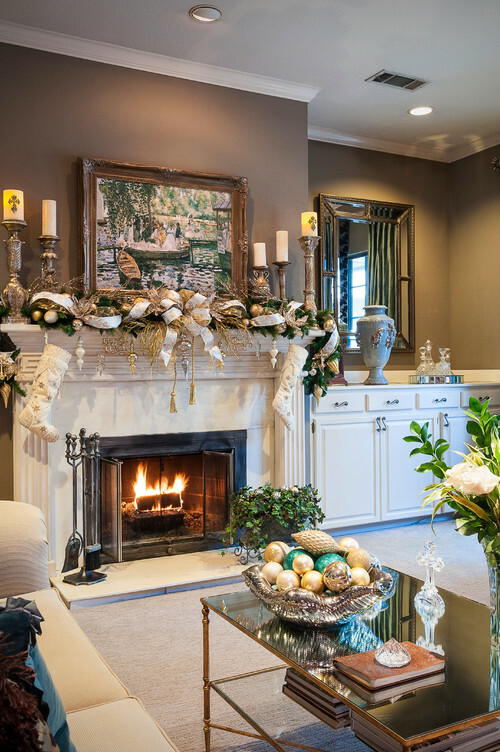 In fact, the holidays are a perfect time to showcase the warmth and character of your home to prospective buyers. 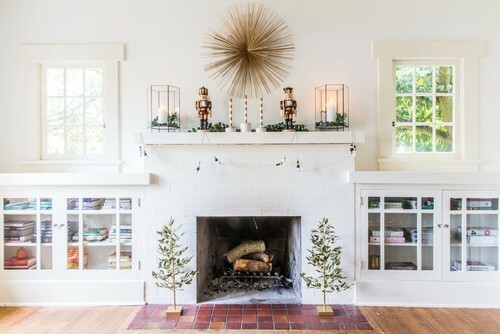 If you’ve already got the basics of staging under control — meaning you’ve pared down, freshened up and added a splash of color — you’re ready to follow these seven do’s to create an appropriately festive home for sale. 1. Do choose appropriately sized holiday decorations. Be thoughtful about the size of decorations you use. A good question to ask yourself is whether the piece helps to positively showcase the space, light and charm of the room. Or does its large size detract from the best features? Your goal is to be festive while honoring the value of your home. For example, displaying a large multipiece holiday installation might be a family tradition for your living room, but doing so won’t highlight the value and space of that room. Perhaps find a new home for this piece on the front porch, or display only a smaller portion of the installation on a table. Similarly, you might have to trade in that huge fresh evergreen tree that you look forward to every year for a slightly smaller version. 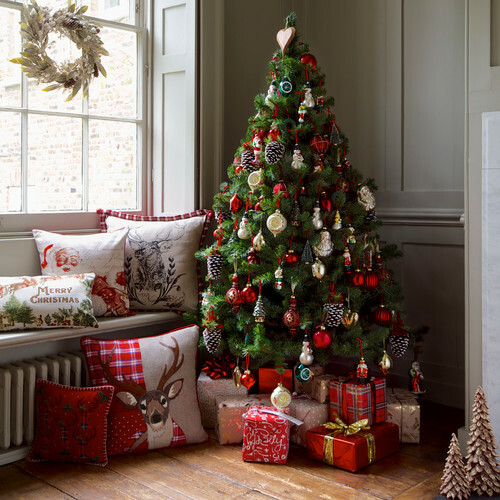 Large trees and decorations, while festive, may make the room look smaller. Choose an oversized tree only if you have a really large room. 2. Do mind the light. Be sure your holiday decorating efforts don’t block any natural light from windows and doors. Though this may be a common sense tip, it may not be as easy to adhere to as you’d think, since windows are one of the most common places to place holiday decor. Just think of what you see when driving through your neighborhood during the holidays: Many residents affix decorations directly to the windows, place large, brightly lighted trees directly in front of them or install candles or figurines on the windowsill. We just love to showcase our holiday spirit to the world. For the selling season, try placing your holiday pride far from the window. You might put decor outside your front door or, if inside, in an unobtrusive corner. If you absolutely must locate decor near a window, then place it far enough away that the natural light still flows in. Otherwise, by reducing the natural light, you’ll detract from the value of the room. 3. Do coordinate with the colors of the room. Maintaining a color-coordinated design scheme matters, even when all you want to do is deck the halls in red and green. Remember, every room of your home should be as appealing as possible to prospective buyers. So, if your favorite holiday decorations clash with the colors in your room, think twice about using those specific pieces. Fortunately, there are tons of creative ways to add holiday accents without throwing off your palette. 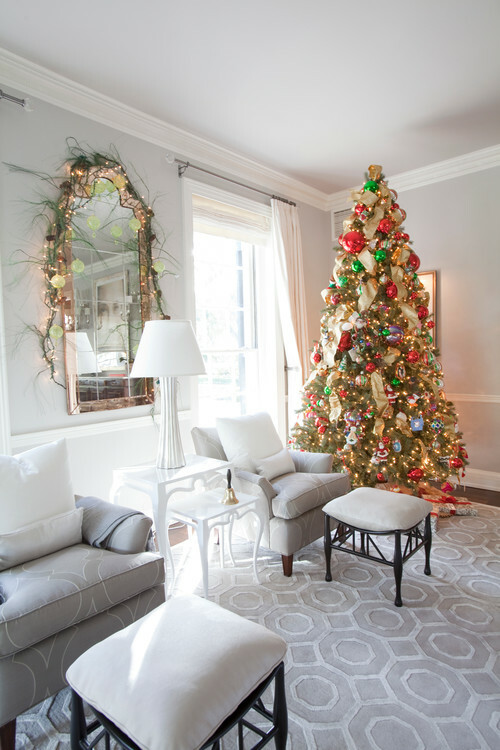 Metallics are one nonintrusive way to add a little festive holiday flair. Gold, silver or copper holiday accents pair well with almost any color scheme. 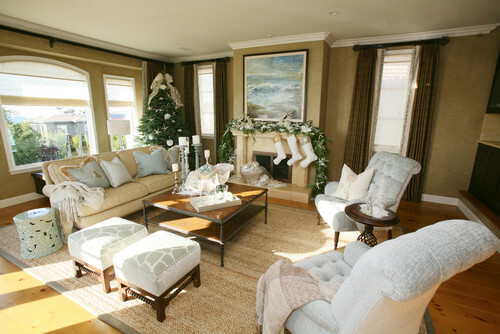 White is also a peaceful, festive, yet still neutral accent color for almost any holiday decorating effort. Try replacing multicolored tree lights with sparkling white lights to give your room a more elegant feel. 4. Do keep movements and sounds to a minimum. Moving parts, loud noises and even festive music will be a distraction for potential buyers. So please don’t welcome buyers with a singing toy soldier or dancing snowman. 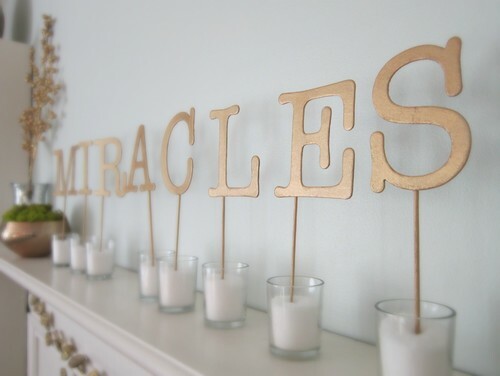 But if you must have those items on your mantel, then be sure to turn them off during showings. The same goes for flashing lights. Opt for simple white static lights that cast a beautiful glow, creating a neutral holiday feeling for many buyers. 5. Do decorate to showcase your home’s architectural features. Holiday decorating can give you a brilliant opportunity to highlight your home’s most attractive architectural features. 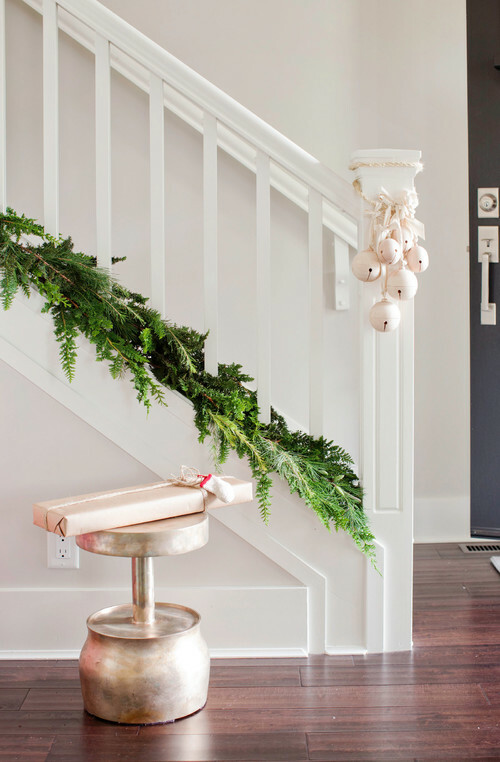 For example, you might wrap a tasteful garland around a beautiful curved staircase. You can showcase your fireplace with accents such as knitted stockings or a strand of lights. 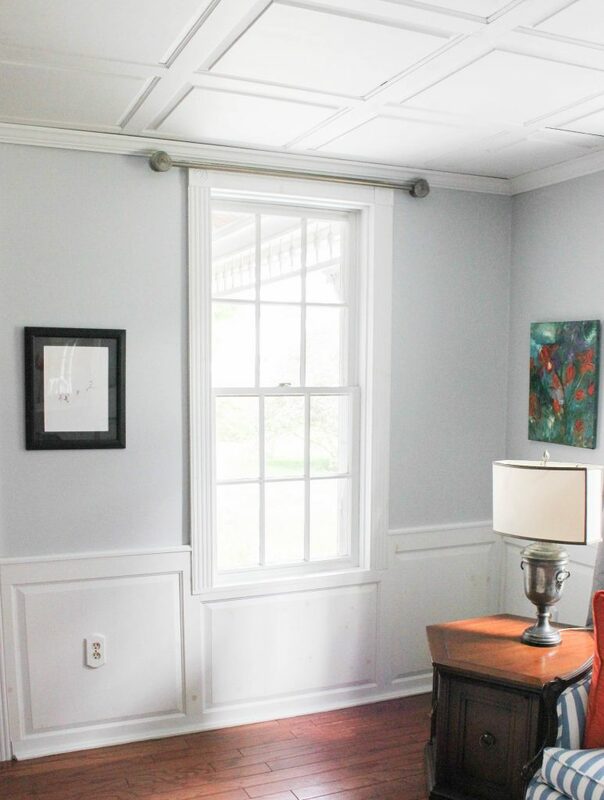 Be mindful not to cover up any valuable structural details such as a beautiful wood floor or crown molding. 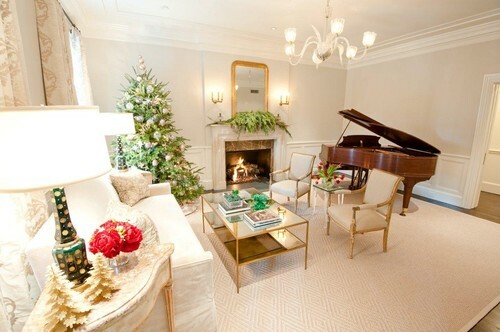 Remember, less is more when staging, even when decorating for the holidays. 6. 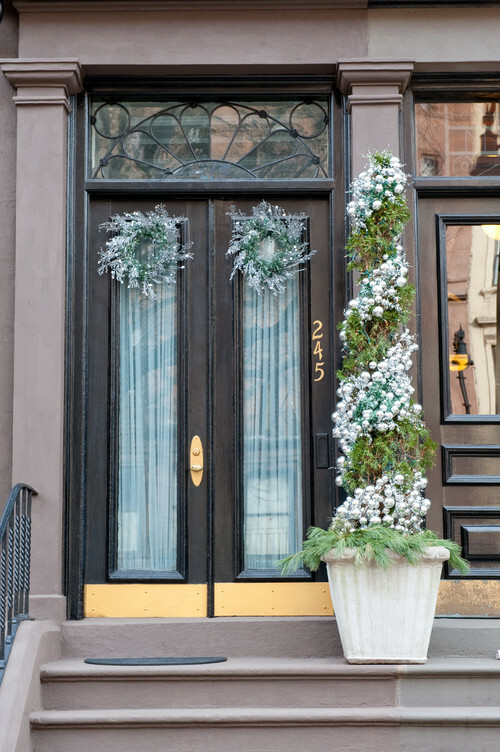 Do use exterior holiday decorations to add curb appeal. 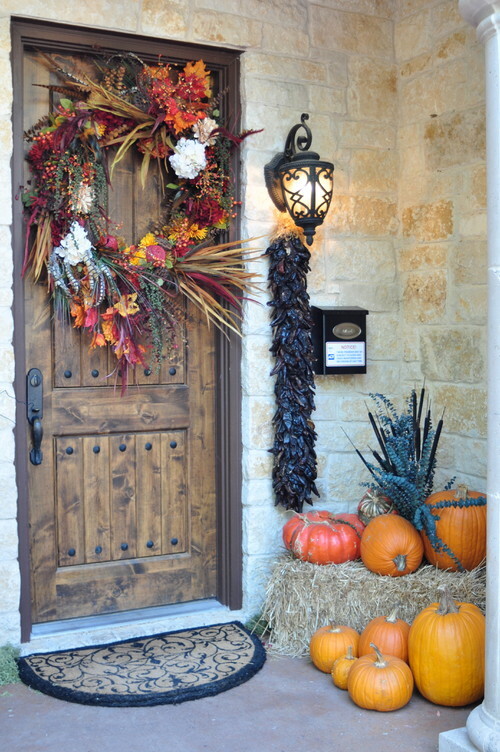 Holiday decorations are a fantastic way to spruce up the exterior of your home and add some color. 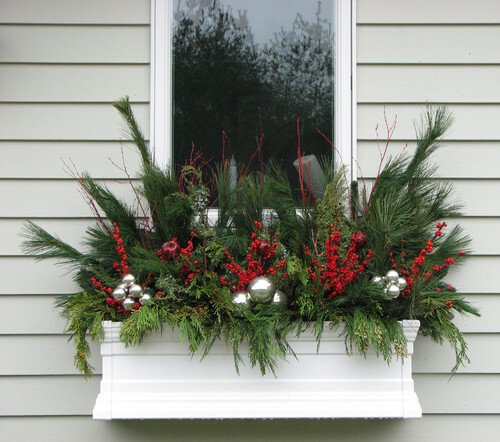 Wreaths, thoughtfully lighted shrubs and the occasional ribbon or bow on a mailbox can be tasteful ways to deck the exterior for the holidays. These elements will certainly add curb appeal and pleasantly welcome your potential buyers. While a frenzy of flashing lights and rooftop ornaments might be fun and playful, try not to embrace your inner Clark Griswold. (“National Lampoon” movie-fest, anyone?) Your goal is to sell your house, not distract or even turn off your buyer by creating a neighborhood spectacle. 7. Do celebrate the holidays and create a warm, joyful feeling. There’s an advantage of offering your home for sale — and decorating it — during the holidays. If you strike the right balance, your residence will exude a positive energy and charm that can’t be felt at any other time of the year. Done well, your decorated home will offer the kind of warmth that appeals to potential buyers and helps them to imagine living there. So go ahead and celebrate what is likely your last holiday season in that home. Happy holidays! If your closet is a clutter, it could be that you just need some closet organization ideas. Closets, no matter the size, tend to be a catchall. But, fret not. Read this blog post to learn some tips to clean up those closets and get some structure. If you crave more closet space, you don’t have to put your home through a full-scale remodel — just put a closet system in place. The idea with a closet system is to maximize the space your closet already provides. By using hanging bars, drawersAud, shelves, and cubby storage, you can properly organize your clothing and other items. This way, when you open your closet door to put something away or retrieve something, you’ll know exactly where to go. 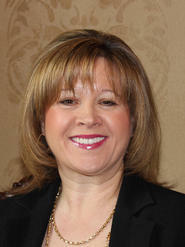 Audrey Sellers is an award-winning, Dallas-based writer and editor with a background in marketing and promotions. She’s a former magazine editor turned blogger who’s a pro at crafting all kinds of engaging content: blog posts, case studies, feature stories, social media content, and more. When her fingers aren’t flying on her laptop, she’s busy not relaxing with her husband and two young kids. It may be depressing to think about it, but winter is creeping up. That means it's time to prepare your lawn and garden for the cold season. Taking a few steps to prepare for the first frost and the cold months to follow can lead to a healthier yard and garden, with thriving plant life and pops of greenery and color later. Winterizing can also reduce your workload in the spring, so you can spend more time simply enjoying Mother Nature. Follow these steps to properly prepare your lawn for the winter season. This quintessential fall activity is an important task for lawn and garden winter preparation. Removing fallen leaves and other debris from your yard allows sunlight and moisture to reach grass roots and keep them healthy. If you leave piles of leaves on the lawn, it can kill the grass and leave unsightly brown spots. Many people mistakenly assume that hard pruning should be done in the fall. Pruning is actually an activity that promotes plant growth, so there’s no reason to prune when the dormant season is approaching. If you do need to prune, go easy on it, or consult a local greenhouse or garden center first to find out if a particular plant needs to be cut back. Now is the time to cut back and clean out perennials. These plants frequently have dead areas, so remove them to improve appearance and reduce unwanted moisture. After the first frost, you can cut back perennials to the soil for a tidier look. You loved them all summer, but now is the time to get rid of your annual plants. These include any annuals you have planted in pots, hanging baskets, or flowerbeds. Unless you plan on bringing them indoors, these plants won’t survive the winter, so clear them out now before they become an eyesore or start harboring diseases. Grab some mulch and use it to cover vulnerable areas like flowerbeds, gardens, and the bases of young trees. The mulch will act as a protectant which insulates the soil and protects the plants within reach. When you’re mulching around trees, be sure to mound it away from the trunk. Shape it like a doughnut instead of a volcano. Mulch isn’t the only option for protecting plants. If you have plants that are especially tender, consider covering them with a burlap sack for added protection. Even though it’s turning cold, you can still look forward to spring by planting a variety of bulbs, such as colorful daffodils and tulips. It’s best to plant bulbs about six weeks before the first hard frost so that they can form roots and properly establish. Aerating your lawn will open up the soil, which will in turn allow more oxygen and water to access the roots. You will have much healthier grass doing this. After aerating, you should also add a high quality winterizing lawn food that will provide root strengthening nutrients during the cold months. Composting is not only good for the planet, but it is also good for your garden and flower bed. You can compost just about any organic material. Use the raked leaves, cut perennials, and uprooted annuals you’ve just accumulated, for example. If you have a shredder, put them through it first for more manageable compost. It’s okay if you don’t; just mix it together for use later as soil conditioner. Get your garden ready for winter by pulling up harvested plants and removing debris like weeds, sticks, and rocks. Till the soil and add amendments such as compost, grass clippings, or cut leaves. Cover with hay or plant a crop cover, such as winter rye or crimson clover, to protect the soil and provide more nutrients in preparation for the next planting season. Figure out which smart home products can work best for you. Many people are drawn into the world of smart home technology by cool features like smart lights and smart assistants, because they help make life more convenient. But it can also be somewhat intimidating for people to get started when they’re faced with a bevvy of technical terms and limitless options. Getting past the jargon and understanding how smart home devices can work together can all add up to a much more convenient lifestyle. Here’s how to figure out which smart home products can work best for you. When you’re selecting smart home devices, you may come across the terms Insteon, Zigbee, and Z-Wave. These are different types of networks that smart home products use to communicate with one another. Insteon can communicate over a Wi-Fi network or through the existing electrical wiring in your walls, while Zigbee and Z-Wave communicate only through your Wi-Fi network. The main thing to keep in mind is that there are compatibility differences to consider. 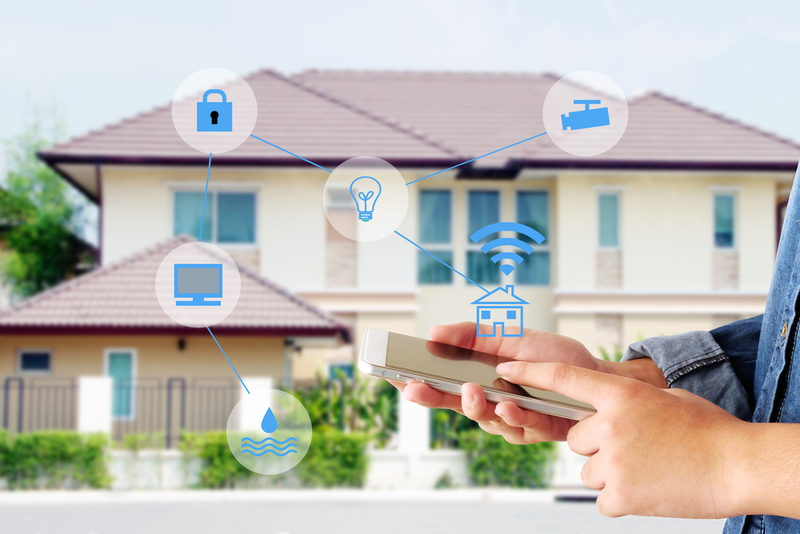 Not all smart home products are compatible with these networks, but the vast majority of smart home products will work with Zigbee and Z-Wave. The number of available smart home devices grows with each passing day. Where once there were only smart lights and security systems, now you can purchase everything from a connected oven to a smart robot that vacuums your home for you. The majority of newer products are compatible with most existing products, and even those that don’t work together straight out of the box can be made to work together through smart home hubs. Take a moment and think about the conveniences you want in your home. If you invest in only one type of smart home technology, make it a security system complete with security cameras. Connected home security systems make it easy to keep an eye on things around the house when you’re away, and even the presence of a security system can be enough to deter someone with malicious intent. For people who work out of the home, go away on vacation, or simply want an easier way to manage their lighting, smart lighting can help. With smart lights, you can control your lights from afar with a mobile app. Because smart lights have been around for a while, there are a lot of different options to fit every budget and color range. A smart assistant is just what it sounds like — a voice-activated device that can tell you everything from the news to the weather, control your smart home, play music, and much more. Although each device comes with varying levels of complexity, most of the difference lies in the volume level of the speaker. These days, you can connect everything from toaster ovens to washers and dryers. Most of these alert you via smartphone when something is finished cooking or a load of laundry is ready to go in the dryer, but certain appliances offer different features. Any homeowner with a busy schedule and lots of chores can benefit from the conveniences of managing appliances remotely. Smart outlets are one of the easiest ways to add smart home tech to your home without breaking the bank. Smart outlets can control the flow of power to and from a device. You can monitor the status of an outlet from your phone and turn it on or off. Are you one to leave the house and panic over whether the iron was plugged in? Next time, plug it into a smart outlet and you won’t have to worry. Many people are introduced to smart home technology through a smart thermostat. These devices learn how you like your home to feel. If you keep it cooler at night and turn up the heat in the morning, a smart thermostat will pick up on that after a few days and adjust automatically. Like other smart devices, these can be controlled from your phone or via voice input with a smart assistant. They’re also an energy-saver. Homeowners who are concerned with energy efficiency would benefit from this device. With these devices, you can get creative and customize them to the needs of your lifestyle. Services like If This, Then That (IFTTT) make it possible to connect devices together in ways you never would have imagined. You can also connect them through a smart home hub, like one provided by your internet service provider. For example, program a smart light next to your bed to simulate a sunrise if you have to wake up before dawn, and trigger your heat to turn on. Program smart lights to turn a certain color based on the temperature outside. Set your smart coffee pot to be linked to a motion sensor so that it begins brewing the moment you get out of bed. Make your life smarter, and a lot easier, with the limitless options. Patrick Hearn is an Atlanta-based tech writer for Xfinity Home. When not researching the latest gadget or home security solution, he can be found at the latest coffee shop trying the newest pour-over. Here are some tips to touch up your home staging to increase your chances of an offer. It takes more than finding a realtor and posting a “For Sale” sign in the front yard for a successful home sale. Getting your house in order is the first step to a quick offer. The secret is to give potential buyers the opportunity to imagine their “stuff” and family living in the home. Plus, you want to put your home’s best foot forward and present it in the best possible light. Here are some tips to touch up your home staging to increase your chances of an offer. You may be attached to your stuff, but the first rule is to clean it up, clear it out and pack it all away. It can prevent new buyers from imagining the house as their own. Pack away personal items like family photos and kid’s artwork for your new home. Make sure toiletries, clothing, jewelry and accessories are in drawers and out of sight. Eliminate excessive clutter. Display only a few generic items on your shelves and make sure the bathrooms are pristine. Some rooms are harder to streamline, especially children’s or teens’ bedrooms. Clean them out and clear away as much clutter as your son or daughter will allow. Invest in covered containers that will fit under the bed or in the closet. Take out some of the furniture. Move it to the basement or storage shed, or sell it if you won’t need it in your new place. Clear off the kitchen counters. Roll up area rugs, which tend to make rooms feel smaller. Arrange furniture in intimate seating groups that encourage conversation and coziness. 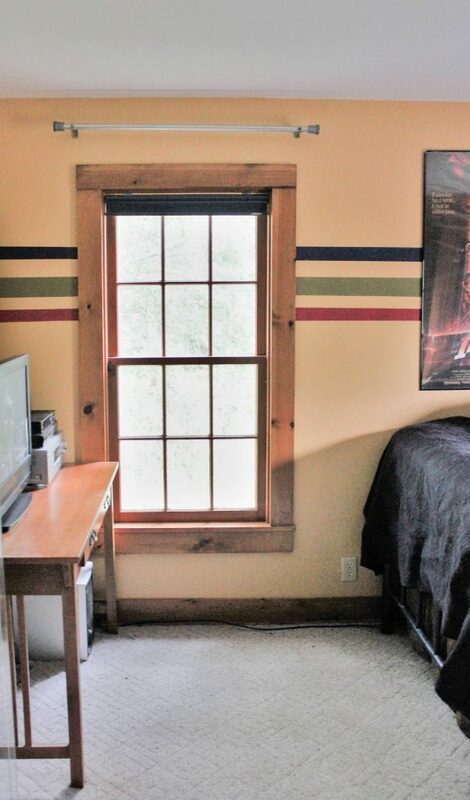 Don’t line everything up along the wall! Installing curtains and blinds as close to the ceiling as possible draws the eye up and makes the room appear bigger. Panels should skim the floor. In this living room corner, a classic chair and small table before a window suggests to the future homeowner here is place for a morning cup of coffee in a well-lit room. Highlight your home’s best features and downplay the less-than-perfect areas to create a welcoming space. Don’t overlook the power of the view and the importance of natural light. Window treatments can help solve many issues. 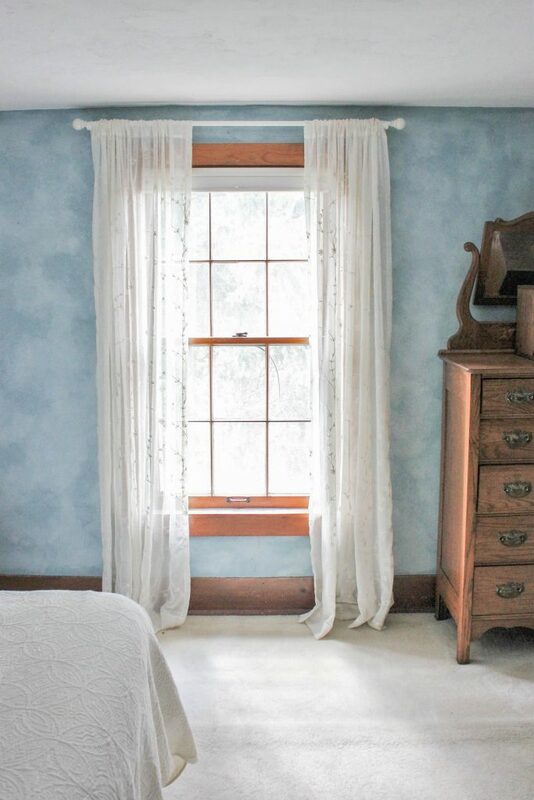 Windows without draperies make a room feel empty or undone. Curtains also help absorb sound in rooms with wood floors and they can hide an unsightly view or enhance a lovely one. If a major selling point is your view – such as the ocean, the mountains or a gorgeous garden – don’t cover it up! 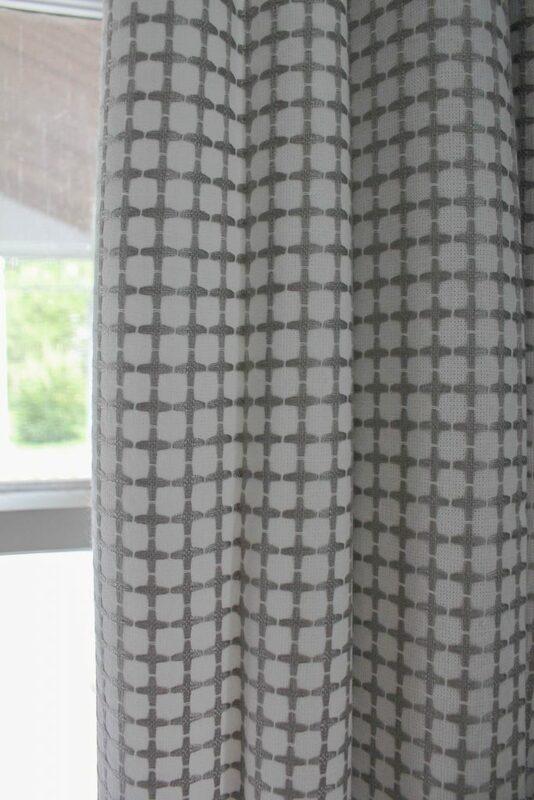 Install stationary panel curtains that hang well off the window. If the scene outside is less than stellar (like an alleyway or the building next door), hang sheer draperies that allow the light in but camouflage the view. 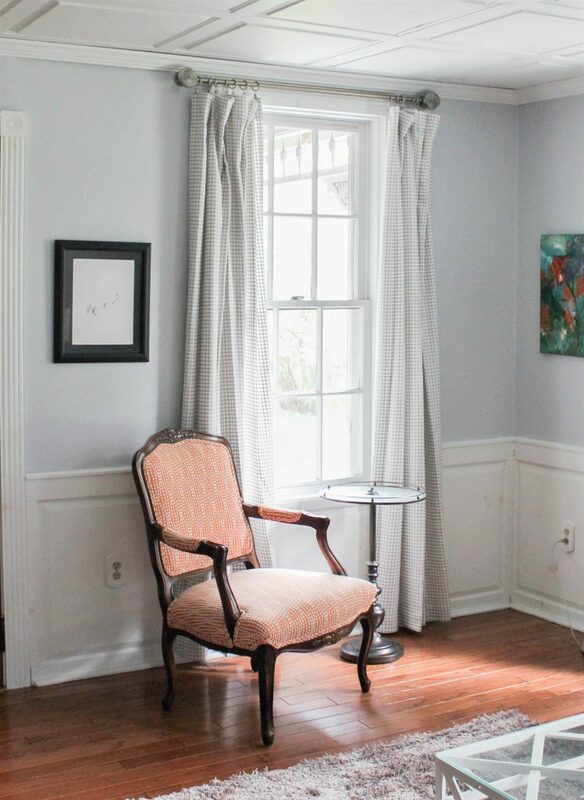 As with paint color, choose drapery fabric in neutral colors and traditional patterns. This woven geometric check blends in with the rest of the space and will coordinate with almost any style of furnishings. 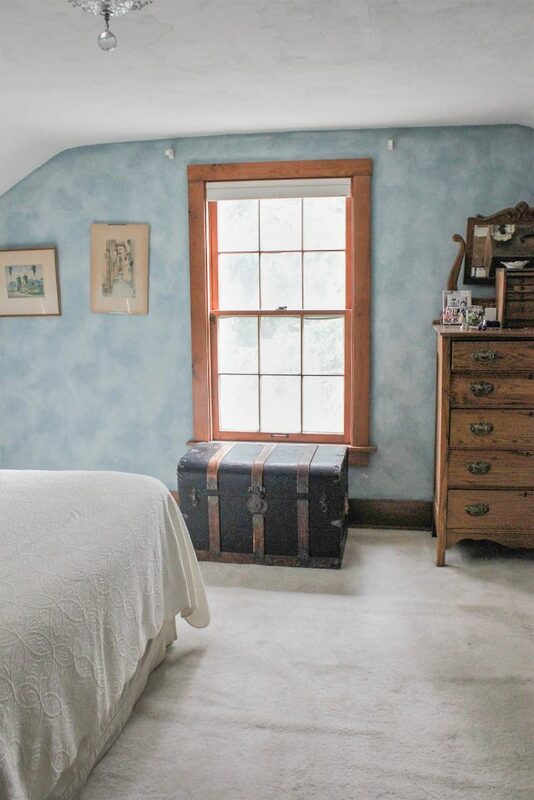 After the living room and kitchen, a great master bedroom is high on buyers’ checklists. In addition to natural light and the view, privacy is paramount. 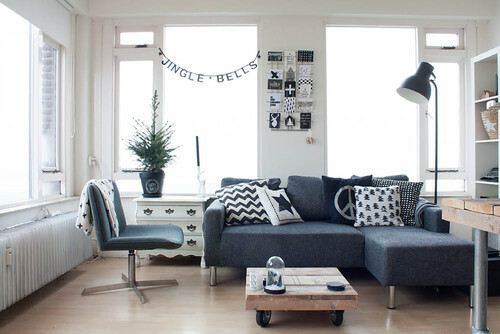 Follow the same rules to make the space look bigger, hang as high as possible and skim the floor. Sheer curtains that can be closed allow light and hide an unappealing view while providing privacy. Keep surfaces clear of personal items and choose plain, neutral bedding. Open up the wall space with minimal artwork and move the excess furniture out. Buyers are looking for large rooms that feel serene and calm. Don’t forget to spruce up any secondary bedrooms as well. Keep the window treatments simple with Roman shades and valances. 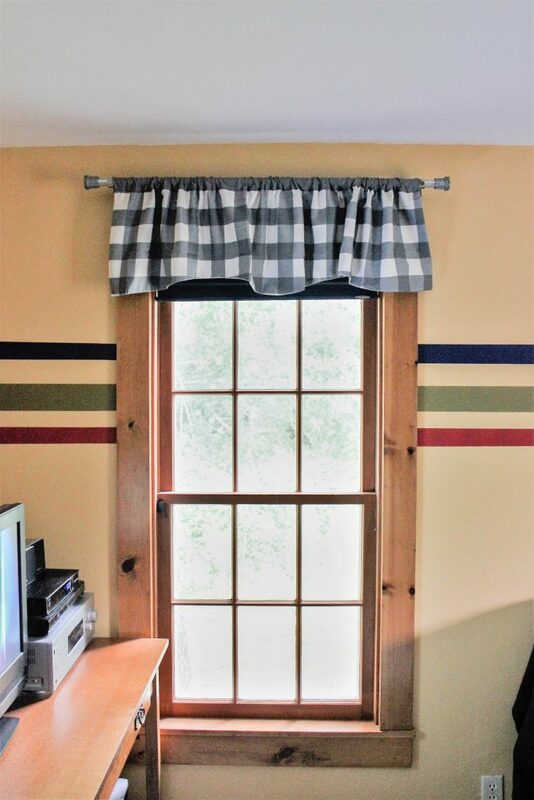 If the room needs a touch of color, a classic plaid or small print that works for boys and girls is in order. Temporarily replace superhero bedspreads with coverlets or duvets in solid colors and encourage your kids to keep their room neat and tidy. Follow these few simple staging tips and your next showing could produce a winning offer. Abigail Sawyer is a Senior Social Media Specialist for Blinds.com. She’s an expert on all things home improvement and is currently restoring her 1972 cottage. Abigail shares her knowledge on decorating by writing about everything from updating your home office to staging your home for sale. If you’re looking to invest in new Roman shades for your house, you can find a wide variety on Blinds.scom.